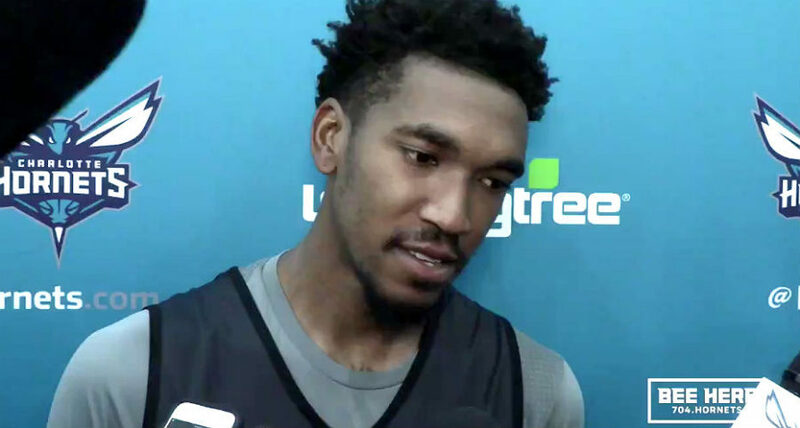 LAS VEGAS — Malik Monk scored 23 points and the Charlotte Hornets edged the Oklahoma City Thunder 88-87 in a 2018 Las Vegas Summer game on Friday. Monk, in his second season in the league, shot 9 of 16 from the floor and made four 3-pointers in 27 minutes. Willy Hernangomez added 16 points, including the go-ahead free throw in the closing seconds to go with 14 rebounds and two blocks for the Hornets, while Arnoldas Kulboka scored 12 points. Also reaching double-digits in scoring were Dwayne Bacon, who had 11 points and rookie Devonte’ Graham, who scored 10 points and had five assists in the win for Charlotte. Rookie Miles Bridges was 2 of 14 from the field and missed all five of his 3-pointers to end with six points, but grabbed 10 rebounds and two blocks for the Hornets. Rashawn Thomas led the Thunder with 23 points on 10 of 16 shooting from the floor to go with four steals. Dakari Johnson added 20 points, eight rebounds, three steals and three assists and PJ Dozier scored 12 points in the defeat. Daniel Hamilton ended with 11 points, 12 rebounds and eight assists for Oklahoma City, who shot 44 percent as a team, but was only 3 for 16 from long range. The Thunder led 50-47 at halftime and had an 81-78 advantage with 2:41 left in the contest. However, the Hornets managed to stage in the game from the free throw line and then won it from the charity strip when Hernangomez made one of two with three seconds remaining. Oklahoma City got the ball again after Hernangomez missed the second free throw, but was unable to score.